Mercy Quick is the most honest, hilarious car sales woman in the business. She’s straight to the point and is not by any means a pushy sales person. 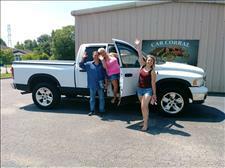 Buying a truck from her was quick and painless and we love our purchase. Go to Mercy for any of your car/truck needs! 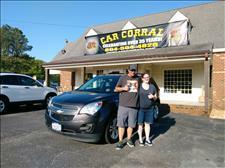 Great deals on car and gave me a great deal on my trade in. I love my new chevy equinox. Will definitely buy from car corral again 10 out of 10 stars!!!!!!! !